Because patient interests are paramount, patient wishes are a critical touchstone. This is never more true than near the end of life. patients, providers and loved ones to capture patient wishes regarding end-of-life care into a secure, confidential POLST eRegistry. Patients and authorized providers have secure, 24 hour access to the patient’s POLST and an ability to deliver the POLST to an appropriate care facility. 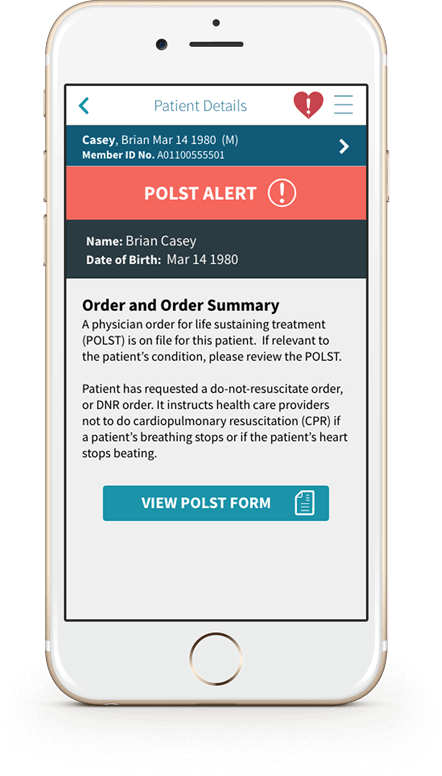 EMS RouteLogic queries the POLST eRegistry and provides EMTs with secure access to the patient’s POLST and an ability to deliver the POLST to the receiving facility. ePOLST empowers patients to advance patient interests.